When a patient puts their teeth together we call that relationship – in occlusion. One of the things an orthodontist looks for, in a patient’s occlusion, is that the upper teeth are out over top of the lower teeth. That is normal occlusion. A crossbite is when this is not the case. So, for example, when the patient puts their teeth together in occlusion, if the upper teeth are on the inside of the lower teeth, that is a crossbite. A crossbite can be in the back of the mouth which we call a posterior crossbite or in the front of the mouth, called an anterior crossbite. A crossbite can be just one tooth or multiple teeth. A crossbite develops due to the tooth bud pointing in a bad direction and/or not enough space for the tooth to erupt. Also another type of crossbite that occurs in the back of the mouth is a buccal crossbite. A buccal crossbite is when the upper teeth are too far towards the cheek that the upper tooth completely misses the lower tooth’s biting surfaces and do not touch. This type of crossbite will get worse as the patient gets older because the teeth will continue to erupt and the overlap will get deeper. 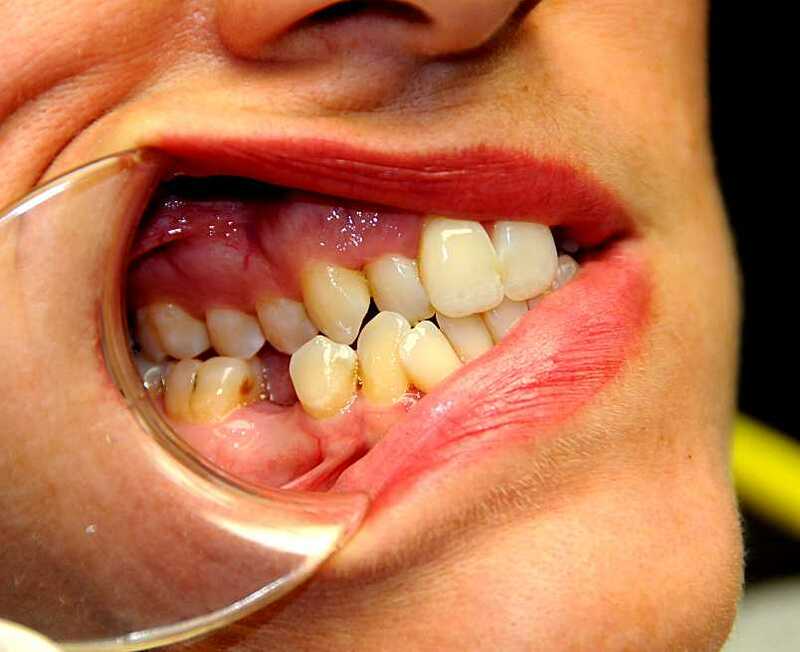 Anterior and posterior crossbites are usually corrected early before full treatment (phase II). Phase I orthodontic treatment relates to the treatment of a malocclusion that can help the growth of the jaws or eruption of the teeth. In regards to crossbites, we do correct them early with Phase I treatment. For example, a right side posterior crossbite should be corrected early because, if left alone, it can cause the lower jaw to grow asymmetrically. To see if your child has a crossbite. Have your child bite in a normal way. Look at their upper teeth. If a tooth is on the inside of the lower teeth, that is a crossbite. Consult with your orthodontist about possible correction. 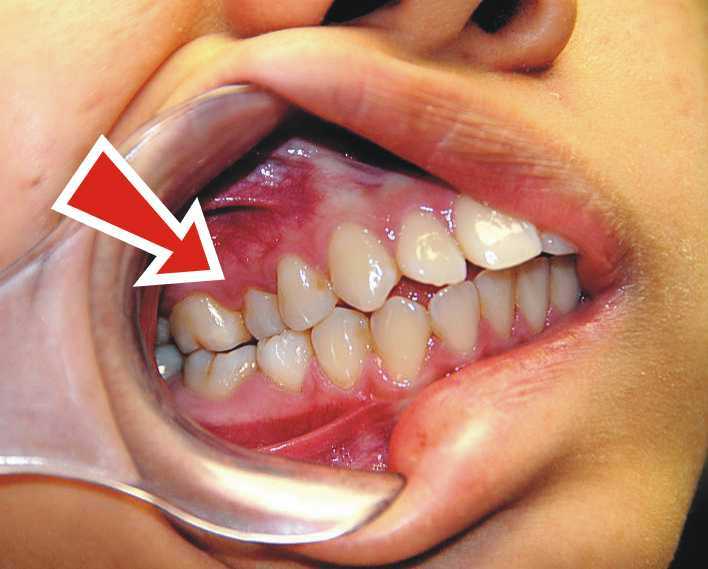 4. collapse of the dentition due to incorrect forces. The bite is unstable. You have to remember that we create pounds of pressure when chewing and a patient with a crossbite creates adverse forces that can be detrimental and unstable to the dentition. How a crossbite is corrected? In the child, a crossbite is sometimes corrected by just using braces. In other cases, a device can be placed in the upper jaw that can spread the jaw and eliminate the crossbite. This is called a rapid palatal expander (RPE). It sounds like it would be painful but it is not. The rapid palatal expander places a force for about five minutes after it is activated and it feels like when you push on your teeth with your fingers. With an adult patient, the palatal suture is not easily opened and an oral surgeon is sometimes required to release the suture so that the expansion with the RPE can occur. ← Previous Previous post: At what age should I take my child to see the orthodontist? Next → Next post: Do I need to wait until all the baby teeth are lost before starting Orthodontic treatment?